Scotland is to England like chalk is to cheese. If you plan to give Scotland as miss because you have been to England, think again. 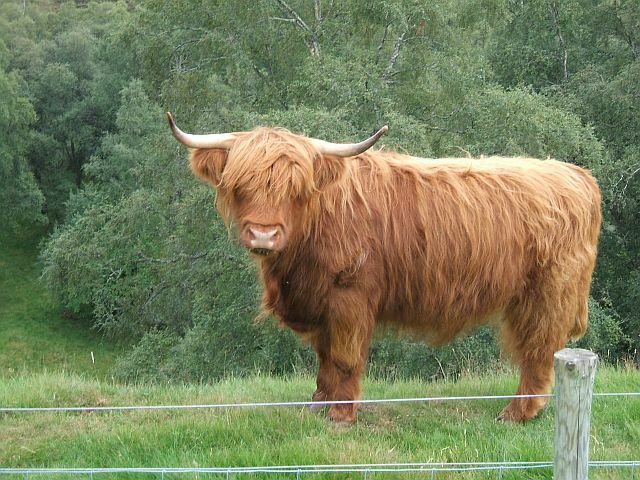 Scotland has a ruggedness and a character all of it’s own. The Scots are so down to earth and friendly you’ll wonder why you didn’t skip England and just head straight up north. The population of Scotland is just over 5 million. It’s a small country, about 79 000 km2, which means getting around is relatively easy. Most entry flights to Scotland terminate in Glasgow, however many budget flights terminate in London. You may plan a day or two in London before making your way north. I leave that to you. 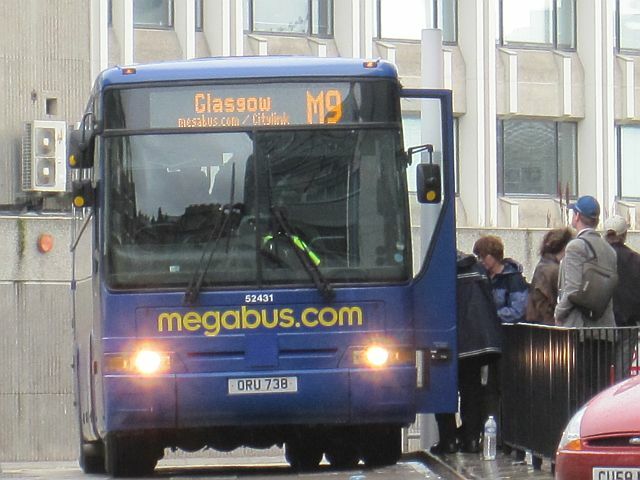 The cheapest way to get to Scotland from London is via Megabus – megabus. The London bus terminus is a 10 min walk around the corner from the London Victoria Station. The London Victoria Station does not have escalators, or lifts, so make sure you can carry your bags up the stairs. It’s not as deep as some of the other tube stations but it’s still a schlep. 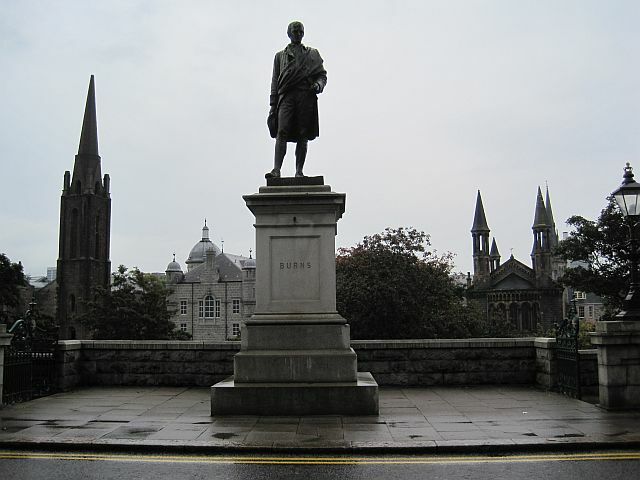 Both Edinburgh and Glasgow are about 9 ½ hours by bus from London. Megabus bookings open up a good few months ahead. Make sure you book early to bag the cheapie seats. They go up substantially if you leave it too late. The buses leave early-ish in the morning. You can also travel overnight if you prefer, but then you will leave nearer to midnight. Megabus services depart daily for most destinations in the UK and Scotland. Your best bet is to hire a car to get around Scotland. I suggest Enterprise Car Hire www.enterprise.co.uk for the best deal. The current rate is approximately £12 – 14 per day for an A group car such as a Ford Ka. This excludes petrol, but includes unlimited mileage and insurance. Petrol is about £1.20 per litre when oil prices are lower. Book as soon as you can. I suggest you collect and drop off the car in Glasgow or Edinburgh. Remember Scotland is NOT England. You will have to pay a drop-off fee of around £75 if you drive to England. Traffic in and around London can be really bad and you could find yourself gridlocked. Remember central London has congestion taxes. Rather take the Megabus if you have to return to London, or one of the trains. The three major cities in Scotland are very different in character. Glasgow is the biggest city in Scotland. It’s my favourite. Not considered the prettiest, although I would disagree. 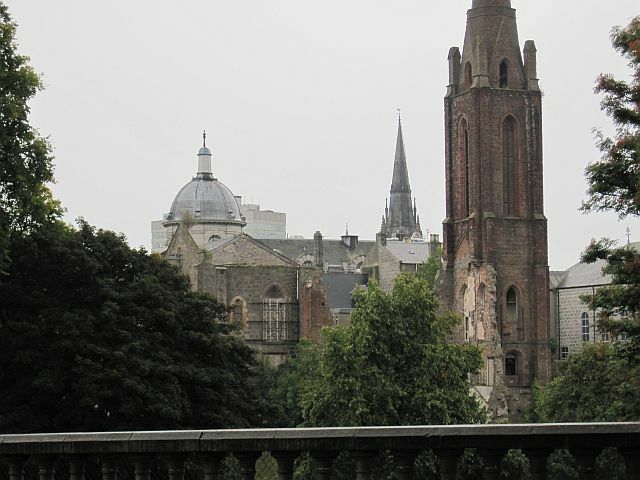 Glasgow is the working capital, the art and music capital and the shopping and party hub of Scotland. It’s brash, working class and in your face. It’s also fun, trendy, arty and the centre of most Scottish music. Think Wet Wet Wet, Franz Ferdinand, Ultravox, Primal Scream, Donovan, Fratellis, Texas, Love and Money, Glasvegas, Hipsway, Travis, Jerry Rafferty, Big Country, Jesus and Mary Chain, Deacon Blue, Simple Minds, Hue and Cry, Belle and Sebastien, The Delgados, Biffy Clyro, Paolo Nutini, Snow Patrol, Fairground Attraction. There must be something in the water. Glasgow is crawling with universities and colleges including some world famous faculties like the medical school where a doctor inspired the character of Sherlock Holmes. Glasgow has loads of art galleries and museums. Their art colleges have guided tours and check out GOMA (Gallery Of Modern Art) which is free and has strange modern art. Glasgow is also the home of Charles Rennie Macintosh and his art nouveau followers. His influence on architecture and design is highly evident. They have some quaint original Tea Rooms where you can take tea in the old style. There is plenty of shopping. (The South African in me loved Nelson Mandela Square.) You can also visit the old style tenements, which were ghettos before, and where the likes of Billy Connolly grew up. I fell in love with the Glasgow train station and took a train to Paisley. No more scarves anymore and Paisley was a bit run down, but passing in and out the station was enough for me. The River Clyde where the old boatyards were located, cuts through the city. Glasgow used to be a city in disrepair but it was on the receiving end of massive grants and it shows. You can see lots of funky modern architecture and renovated old buildings. If you decide to do a road trip, which I recommend, from Glasgow head north-west toward Fort William via Loch Lomond. Ben Nevis and the ski-ing area of Aviemore are in the heart of the highlands and are near Fort William. Check out if there any music festivals around that time. T-in-the-Park and Rockness are two big music festivals in Scotland. A day at one of them is an amazing experience, a full weekend can be great, but oh so long. There are also plenty smaller music festivals. Back to your road trip. 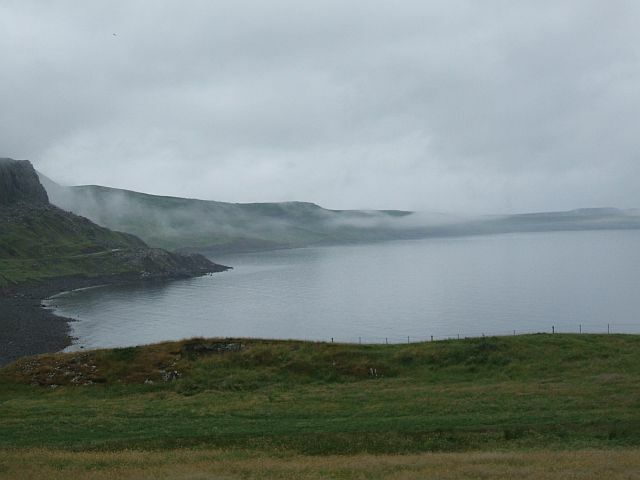 Start veering west to the Isle of Skye. 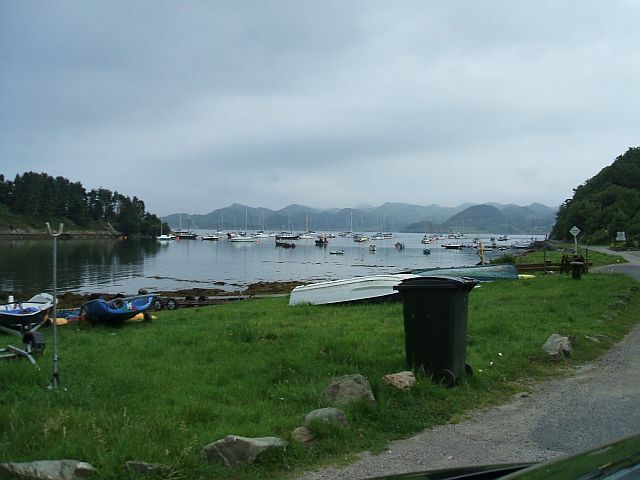 Skye is scenic and old world. They still speak a bit of Gaelic there and local TV is in Gaelic. If you have time I suggest taking a ferry to the the Hebrides. They still manufacture their own heat from the peat which they dig out of the bogs and they weave their own fabrics. 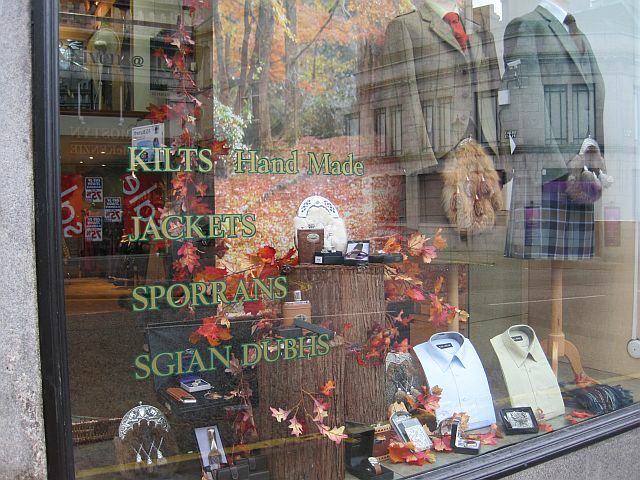 Ever heard of Harris Tweed? Nike manufacture sneakers from it. You see place names in Gaelic and they speak even more Gaelic than on Skye. It’s so rural and remote that the roads appear to be designed for sheep and not cars. Coming back from Isle of Skye, head back to the mainland and east toward Inverness taking in Loch Ness. Along the way are loads of castles and prehistoric monuments. There are road signs indicating these monuments. Some stone circle you can get up close and personal with, while some are only seen from the outside as you walk past them. If you have a road map, the prehistoric monuments are marked. Plan to visit them in advance so you don’t drive past them by mistake. Prehistoric monuments include long barrows and stone circles. Scotland has stone circles galore and castles in various states of repair and disrepair. Click here to go to Scotland Part 2.